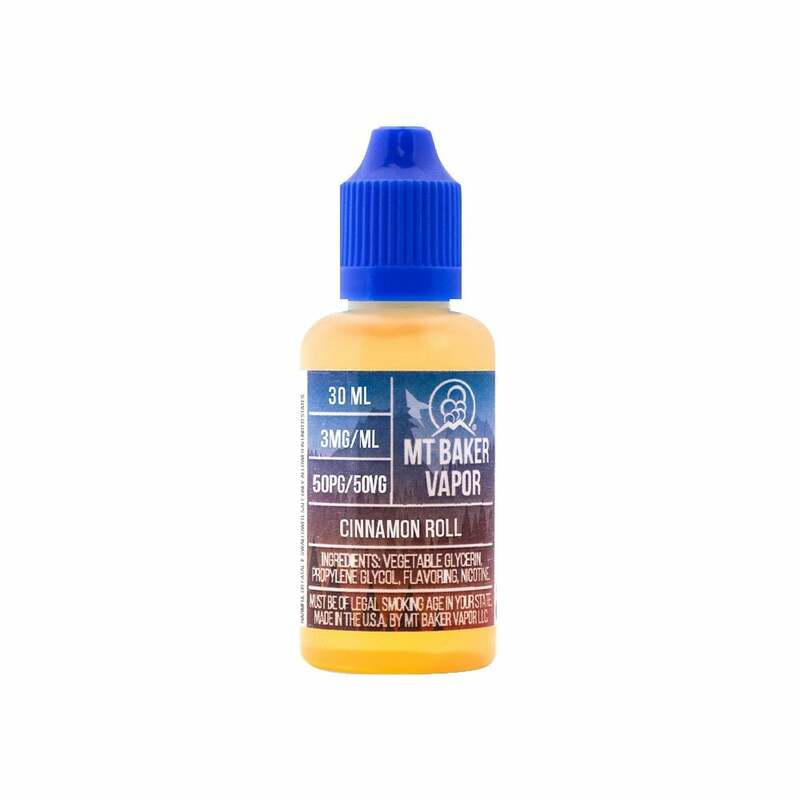 Cinnamon Roll by Mt Baker Vapor is a rich and sweet dessert flavor that captures just the right amount of cinnamon and frosting. Not too overpowering, the spicy cinnamon pairs well with the dense, sweet bakery notes. If you love cinnamon rolls, this vape juice is a must-buy! I got this as a cheaper alternative to the Boulder juices. The tip is too big to use with the Boulder, and the juice is a bit thick. However, I remedied both issues myself. I use IM syringes to transfer the liquid to the device and used a tiny amount of water to thin it. Yes, it doesn't taste as good as I hoped, but I am more after the buzz than the taste. It's a quality liquid, it doesn't taste much like a cinnamon roll to me. It's nice for what it is. It's just not to my personal tastes. Horrid... All you taste is chemicals, I bought five flavors by this company, and the first one I tried was so awful I'm not even opening the others they're going to the trash. I wouldn't recommend this to someone I didn't like. Love the cinnamon flavor! Fast shipping & great price! It was alright. I think I will try something different next time. You can tell that this is a cheaper juice, the flavor is there but it just not that great. Really great flavor! Just re-ordered another bottle, one of my new favs. Amazing product! All day vape. Nice job electric tobbaconist! Taste amazing. Nice hit and the flavor is on point. Only reason I can't give it 5 stars is because the tip was too big for my Boulder Rock so I had to finagle a way to get it in. Other than that, GREAT! Very light flavor of cinnamon. Nice! Best flavor juice I’ve tried. Love this flavor!! My all time favorite and the price on this site was awesome! For the price this juice was very good, I enjoy cinnamon flavors and this was spot on with the cinnamon roll. ADV if you happen to enjoy cinnamon.